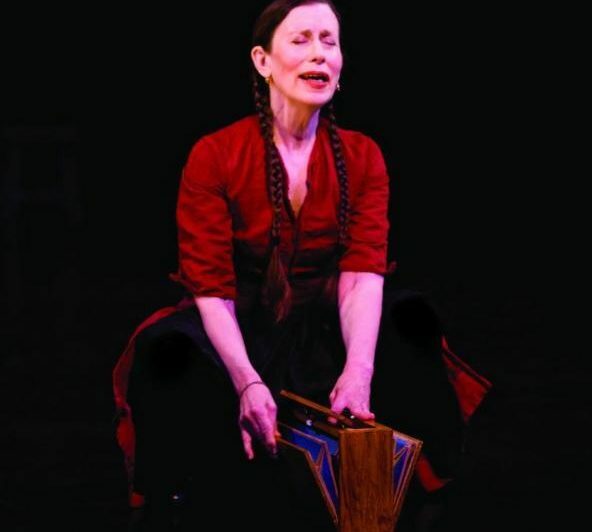 “Why is up more sacred than down?” In Songs of Ascension, composer, vocalist, director/choreographer, and auteur Meredith Monk reflects on the notion that spirituality more often leads upward than downward. Inspired in part by the writings of Paul Celan on the “Song of Ascents” — 15 of the Psalms sung by people ascending during pilgrimages — Monk’s work weaves together voices and instruments; the strings, reeds, percussion, and shruti box (a drone instrument from India) envelop the audience in contemplative, celestial sound. Some playful recurring sections proceed in a circular way, echoing the round form of either the stupa (Buddhism) or mosque.